Our teachers have been trained by the best, are deeply passionate about their craft, and continuously strive to educate themselves further in hopes of serving you even better. It is our mission is to give you the best possible experience every time you come to class. I began practicing Bikram Yoga after having undergone a failed back surgery. My physical therapist suggested that I try yoga since I was still in considerable pain. I initially laughed at the thought, envisioning candles and meditation and such. But I was in a bad way so not knowing what to expect, I found a nearby yoga studio and gave them $20 for 2 weeks of classes. Turns out it was a Bikram Yoga studio, so wearing sweatpants and walking in with a chai latte for my first class probably wasn’t the best introduction. 90-minutes later I emerged, red faced and dazed, not entirely certain what had just happened. I’m frugal, so I came back the next day… and everyday for 2 weeks. And ultimately the next 60 days in a row because my back felt so much better from practicing everyday. I had such profound healing benefits from the series so quickly I was sold. But I had no idea what this yoga would give me in the long run. You see, I have Crohn’s Disease. I’ve had it my whole life. They say there’s no cure. It’s a torturous thing, and those affected suffer in silence. Nobody likes to talk about digestive problems. For the first 34 years of my life I couldn’t eat most fruits or vegetables. No nuts, grains, coffee, red meat, wheat, dairy. I was in and out of the hospital and had to constantly juggle medications and their various side effects. It’s not like that anymore. You see, 5 years ago I became symptom free. Diet independent. I can eat whatever I’d like. No meds. No docs. I can have spinach and peanut butter and apples for the first time in my life. 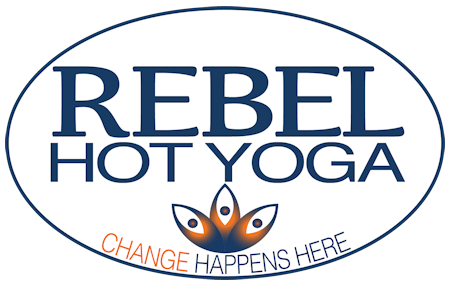 With Bikram Yoga, I changed my own physiology from the inside out. I have reclaimed my body. I have my life back. It wasn’t easy. Or fast. But doable. So now I practice 5 or 6 times a week so I can maintain my digestive health and enjoy all the wonderful foods life has to offer. So I can sit and have a coffee with friends. So I have the choice. I became a teacher and studio owner because Bikram Yoga works. I can say with the upmost sincerity that this yoga heals, bones to skin. Broken body, broken mind, or broken heart, it doesn’t matter. By simply trying the right way, in this practice you can find change. Bikram Yoga gave me my life back. My goal was to learn everything that I could about the yoga, the right way, from some of the best teachers in the world, and share it with everyone. That path brought me here, and I couldn't be more happy. 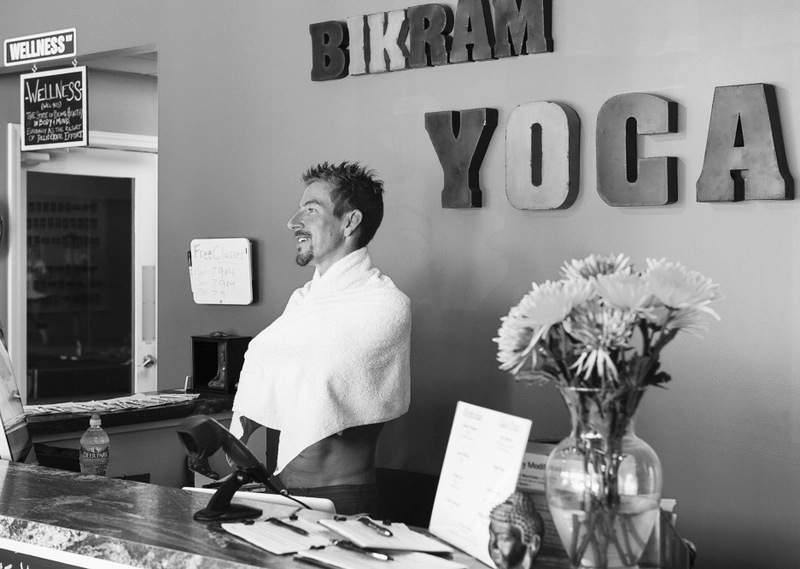 On a whim several years ago I walked into a Bikram Yoga studio to see what it was all about. I was the largest I had ever been in my life and at my lowest place mentally. Very low times. I never exercised consistently. I hated gyms. So I walked into the hot room raw. After sitting through 85% of my first class I didn’t think I had it in me to return. But I did. I felt better then when I entered. And over the next several months (and years) my life began to change. Physically I had found a practice I could commit to, be challenged by and enjoy. My body changed. My eating habits improved. My lifestyle began to simplify. Mentally I began to see things more clearly and through a much happier and lighter lens. So much so that in 2016 I felt an overwhelming desire to take a giant leap of faith and go to teacher training and become a certified instructor. I was so inspired by my teachers and what this practice had given back to me, that I knew I had to share and help others. I continue to be motivated by the fact that this is a forever practice. Every day is different mentally, physically, energetically, so I come into the studio and do my best on the mat knowing I can always try again tomorrow. I don't even question it--I know I will always get exactly what I need from my Bikram practice each time I walk through the door. When I am on the podium, I remind my students of this fact as well…it is a liberating feeling, embrace it and you will soar!